If you are visiting Thailand then you might be in for a surprise as many of the immigration rules have changed. If you arrive in Thailand by air then you will receive 30 days visa on arrival, however arriving via land that has changed. 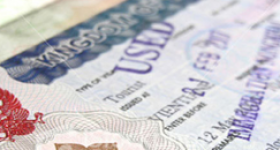 For the past 2 years the Thai Immigration services have changed many of the visa rules. The one important rule that has been changed was that if you arrived in Thailand without a visa and arrived via an international flight that they will allow you a visa on arrival for 30 days stay. If you however are crossing a land border you are now only allowed a 15 day stay. The reason why they have done this is to clamp down on what they saw a visa abuse by expats. If you are looking at visiting Thailand be it as a backpacker or on a holiday it is always best to obtain and apply for a tourist visa for Thailand. This visa is the easiest to obtain and will allow you to stay in Thailand for 60 days no matter if you arrived via land or airport. Speak to any of our attorneys today about obtain a tourist visa. 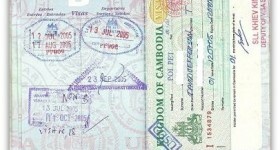 The visa on arrival is also limited to certain nationals. Not all nationals may arrive in Thailand and obtain a 15 or 30 day stay. The following countries nationals are allowed to stay in Thailand for 30 days if they arrived via an international flight. Again, speak to us online on our main website or via out toll-free US or UK telephone numbers. The Visa on arrival, even though you are not asked to show it. They do expect that you have at least 20,000 baht per family arriving or 10,000 Baht for an individual.